Happy Friday, everyone! I wrote this post while gazing over downtown Montreal. Most of the time, I reach for drugstore branded mascara. I decided to buy Benefit Cosmetics mascara after receiving a sample at Sephora. I was on the hunt for a waterproof, smudge-proof mascara. I have long eyelashes, and tend to smudge my mascara when I blink! This mascara does not smudge. As photographed above, the black and hot pink box gives off that “bad-gal” vibe. The mascara itself comes in a long, cylindrical tube with a silver top. The slimline mascara wand makes it easier to coat each lash. 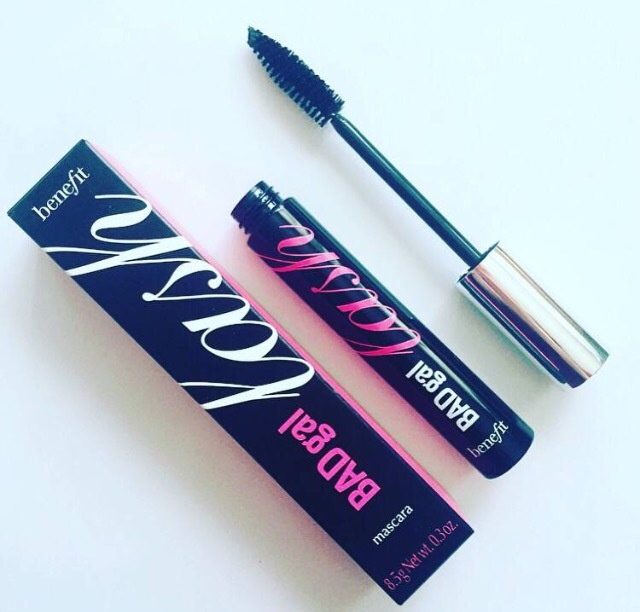 Benefit’s mascara is one of my favourites! This mascara gives my lashes volume, without clumping or flaking. Benefit’s BADgal lash mascara retails for $26 on Sephora’s website. What is your current favourite mascara? Leave a comment below! Sunburns can be a pain. In todays post, I share tips to help you soothe a painful sunburn. Apply aloe vera to the painful area. Aloe vera derives from the aloe plant. Applying aloe vera to the skin can lessen the sting from a sunburn, and calm the skin. The cooling effect of aloe vera should help the sting associated with a sunburn. Soaking the skin in cold water for immediate relief. Cold water draws the heat from your skin. Swelling is also reduced. Lather skin with a milk-based lotion. Moisturizing lotions containing milk ingredients have a soothing, anti-inflammatory effect on the skin. The skin also remains hydrated. Stay hydrated. A sunburn dehydrates the body. Our natural healing mechanisms bring moisture into the burned area. Increasing water intake helps the body replenish lost moisture. Headache and fatigue may go with a sunburn – staying hydrated helps avoid this. Skip scrubbing. Using a loofah or products containing micro-beads (e.g. body scrubs) increases irritation by stripping away moisture. Lathering with soap provides moisture without increasing irritation. 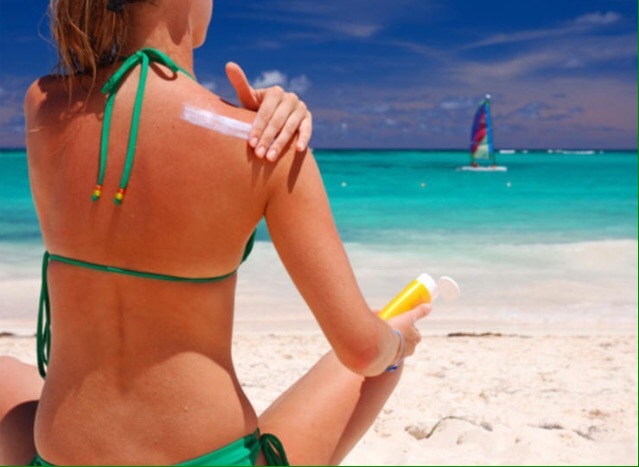 What are your go-to remedies to ease a sunburn? I’d love to hear about them in the comments below! 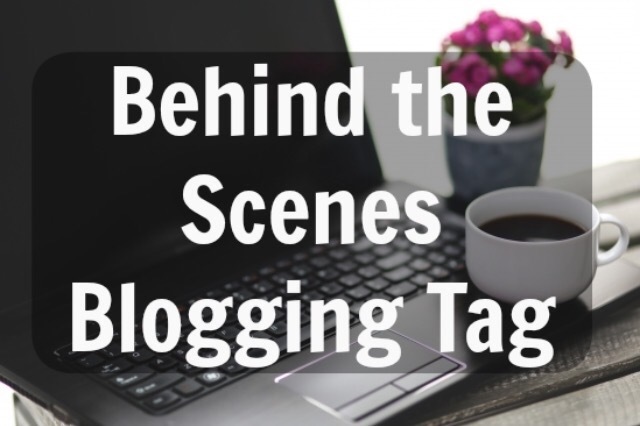 I came across this tag in one of Emily Rose’s posts, and decided to complete these questions on my own blog. Answering these questions was fun, and I hope it lets you get to know me a little more! I am attending university, and have a desk set up where I study during the semester. I do most of my writing and editing in this space. I have the space set up with a calendar, computer, and a cute pencil holder. If I am away from home, I use my phone to draft posts. Keeping my phone on hand is great for anytime inspiration strikes! I find inspiration from just about anywhere. Ideas for my posts can come from an Instagram photo, a blog I’ve recently read, or an object I saw. I am creative, so most of my post ideas come from my own thoughts. It takes me 1-2 days to write a new post. After writing the post, I spend half a day editing it. Following the editing process, I take photographs for my post during that same day. I publish three posts per week, and like to keep my writing/editing time short between each post. Yes. I use a desk calendar to draft a posting schedule. I use a notebook to plan the topics for each post, and to sketch out a general idea of the post. This notebook also contains any research I need to do for a post. I sometimes use VSCO to edit my photos. I sometimes add a white border to my photos using an app called Whitagram. These are the only editing apps I use. I use a notebook to plan and date my posts. I like to keep it on hand when inspiration strikes. I do. I think taking your own pictures adds uniqueness to your blog. My family and friends, and anyone who follows me on social media. Organized. I plan and draft my posts for each week during the Sunday of that week. Once I’ve written a post, I check it two to three times for any errors. I edit my posts completely before publishing. At the moment, I have none. Thanks for reading! Do you have any methods of planning a post, or writing a post, that you use? If so, I’d love to hear about them below! I recently began looking for a new makeup line to try at Sephora. After viewing many posts about Anastasia Beverly Hills I decided to try the products. As I’ve mentioned, I am a lover of lipstick. I had to add another to my collection. On (another) trip to Sephora last week, I scouted these products. I had my eye on the Modern Renaissance palette but it was not in stock at my local Sephora. As I continued to browse, my eyes landed on the selection of liquid lipsticks. After brief testing, I settled on the color DOLCE. 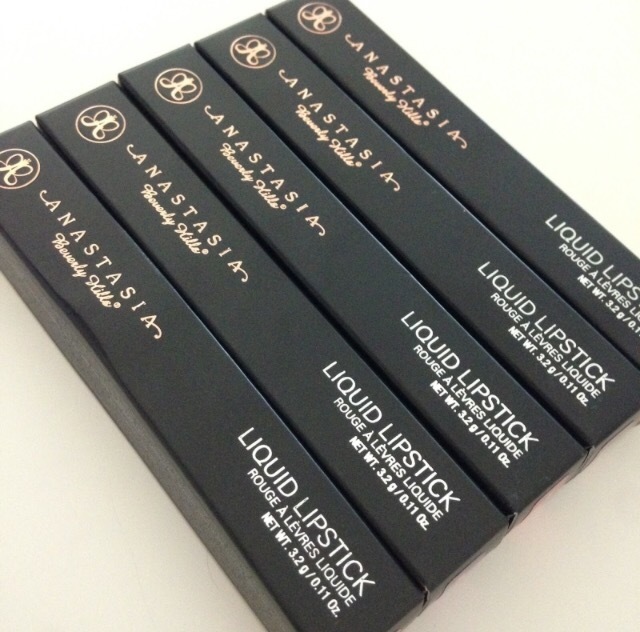 The lipstick comes in sleek and simple black packaging. This lipstick is in a clear tube, making it easy to know the exact color and amount. Anastasia Beverly Hills lipsticks come with a doe-foot applicator. This applicator allows precise application. I own a bright orange lipstick, but went looking for a peach-colored lipstick for summer. The Anastasia Beverly Hills website describes this colour as a “muted coral.” On my lips, DOLCE is more peach-toned. As with other liquid lipsticks, adding a second coat darkens the colour. This lipstick stays in place for about five hours. I expected the pale shade to fade sooner than some of my other liquid lipsticks. I have not tested whether a darker shade would last longer. The lipstick is not patchy on the lips, and the formula is lightweight and smooth. The lipstick dries to a matte finish. 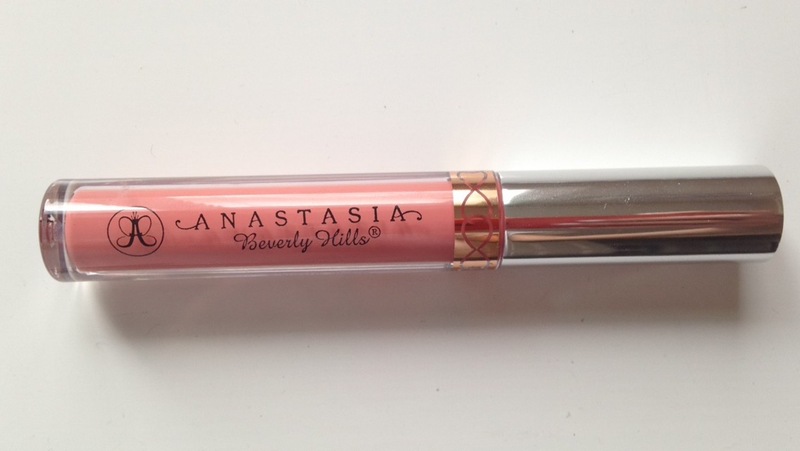 I am pleased with Anastasia Beverly Hills liquid lipsticks, and will buy them again! Anastasia Beverly Hills liquid lipstick is available in 27 shades. The lipstick can be purchased from Sephora’s official website or from Anastasia Beverly Hills official website for $20. 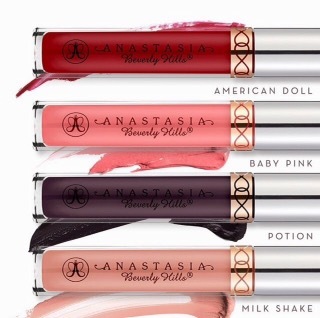 Have you tried Anastasia Beverly Hills liquid lipsticks? I’d love to hear about your experience in the comments below! I normally toss my makeup in a polka-dot bag. Searching for a certain product is often difficult. I recently decided to compose a solution to keep my products organized, and in easy reach. Today, I’ll share some of the tips and tricks I use to organize my makeup collection. Invest in a storage unit. A storage unit can be anything from a shelf to a makeup bag. Having a physical space to hold makeup products keeps them together. Transporting products is often easier. I currently use the bag below to hold my all my products. When I travel, I downsize to a simple zipped bag, or a Ziplock bag, when in a pinch! Dedicate a space for your makeup products. If you have many products, a dresser drawer or shelf space in a closet is ideal for storage. Dedicating a specific space for makeup products allows you to keep them together in one place. To simplify your organization further, organizing similar products together can help. For example, anything from a coffee cup to a clear plastic container is ideal for storing brushes. Clean out your makeup stash. I know, it’s tempting to hold onto that berry lip stain you bought a year ago, just in case. Every month it’s a good idea to go through all your makeup, and toss anything that has expired, or you have not used in a while. This de-clutters your makeup collection. Tossing old products minimizes the chances of bacteria transfer as well. Your face will thank you! Do you have any tips that you use to organize your makeup? I’d love to hear them! Beauty is multi-faceted. Beauty is both your outer appearance and internal feelings/emotions towards yourself. Today’s post focuses on loving the skin you’re in. I wanted to write a post about body-positivity. Being comfortable in your own skin is important. Acknowledging inner beauty is as significant as recognizing outer beauty. Sometimes this can be easier said than done. Becoming comfortable in my own skin was something I struggled with for a little while. My body is not perfect. In truth, nobody has a “perfect” body. Becoming comfortable in your own skin will not happen overnight – it did not for me! Courage, and confidence are integral aspects of overcoming fear and doubts about yourself. This is especially true when it comes to your body. I now realize that these scars make me who I am. 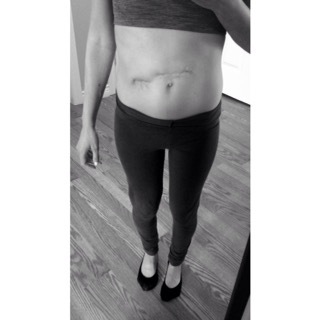 My surgical scars are permanent reminders of my strength. Scars tell stories, stories of hope, courage, and strength. When you are happy with your body, you glow. I came across a story in Huffington Post, published last year, that sparked the idea for this post. The campaign is called “Every Body Has a Story”. It encourages women to overcome insecurities, and love their bodies. This message inspired the idea that our bodies tell our stories. Our imperfections make us who we are. Body positivity is about accepting your flaws, and reclaiming your body. Loving the skin you are in can inspire you, motivate you, and instill confidence. After all, beauty is multi-dimensional. 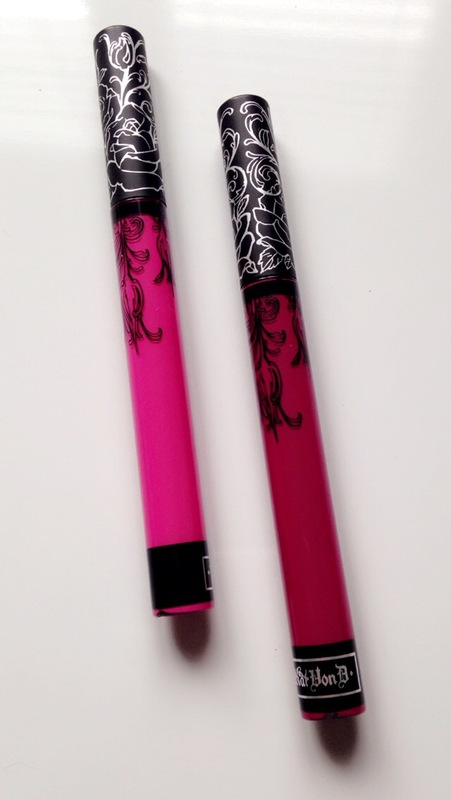 I decided to write a review of Kat Von D’s Everlasting Liquid Lipstick after Wednesday’s post. These lipsticks are opaque and highly pigmented. When first applied, this lipstick feels like a gloss, but it sets to a matte finish. Applying more than one layer of the lipstick achieves a darker color, but it does not feel heavy on the lips. Liquid lipsticks can be dry. These are not. If your lips tend to dry, it may be helpful to wear a lip balm underneath this lipstick. Upon application, the lipstick is creamy while remaining liquid at the same time. The lipstick dries quick, leaving the lips velvet-smooth. After about 6 hours of wear, the lipstick tends to feather slightly in the middle. Despite this, the lipstick is still long-lasting! The colour lasts on my lips for 8-10 hours. Below are swatches of the two shades I purchased from Sephora. I own Backstage Bambi and Bauhau5. The colour Backstage Bambi is a vivid hot pink, while Bauhau5 is a deep raspberry colour. The shades may appear a shade darker, or lighter, on different skin tones. In the first photo, the lipstick is still wet. In the second photo, the lipstick dried to a matte finish. Photos: The lighter pink swatches are Backstage Bambi. 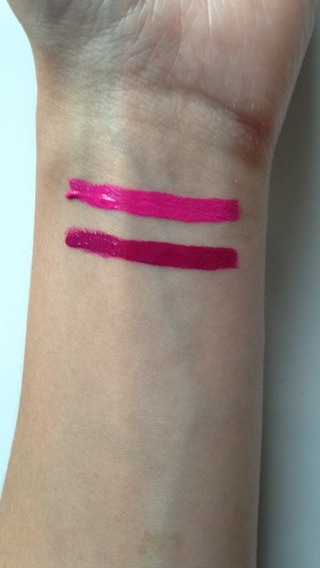 Both of the darker pink swatches are Bauhau5. Kat Von D’s liquid lipstick is available in 29 shades. They are available for $2o on Kat Von D’s official website or Sephora’s official website for $24.